Chronoswiss celebrates its 35th anniversary with metallic orange or blue regulator Open Gear Anniversary Edition Pieces for 2019. Chronoswiss hit a home run with the Flying Regulator Open Gear last year and it quickly became its most popular model. 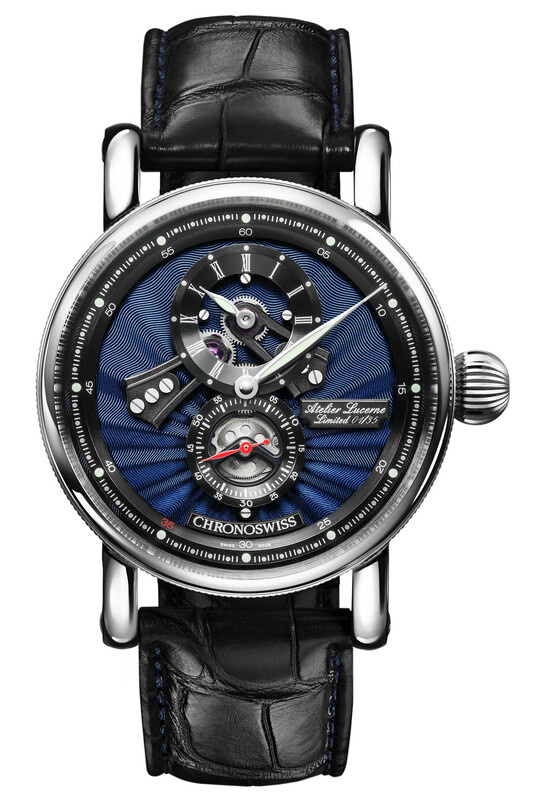 The design is a contemporary and almost futuristic take on the centuries-old regulator setup (a style that Chronoswiss embraces) and many variations form a broader Flying Regulator series – the Night and Day and Grand Regulator are good examples. 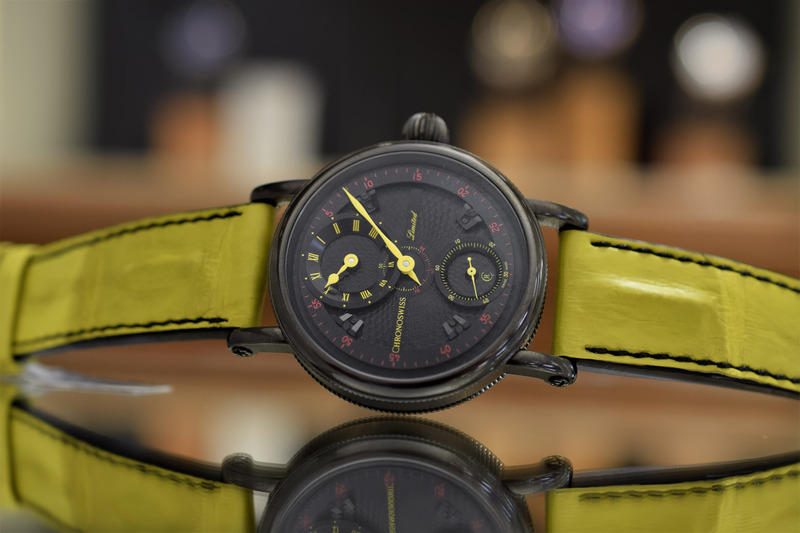 The company out of Lucerne, Switzerland celebrated its 35th anniversary in 2018 with a limited Flying Regulator Open Gear Anniversary Edition and has added two additional models for 2019, now in metallic orange or bright blue. While the dimensions and overall design are the same as the original Flying Regulator Open Gear, the new colour schemes make a big visual impact. 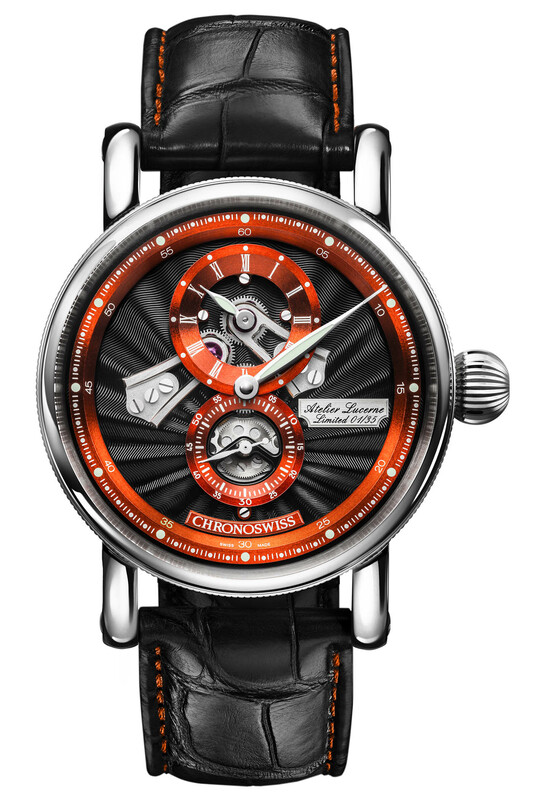 The 2019 editions have either a black dial with metallic orange accents or blue dial with black accents, and are limited to 35 pieces each. Let’s take a closer look. 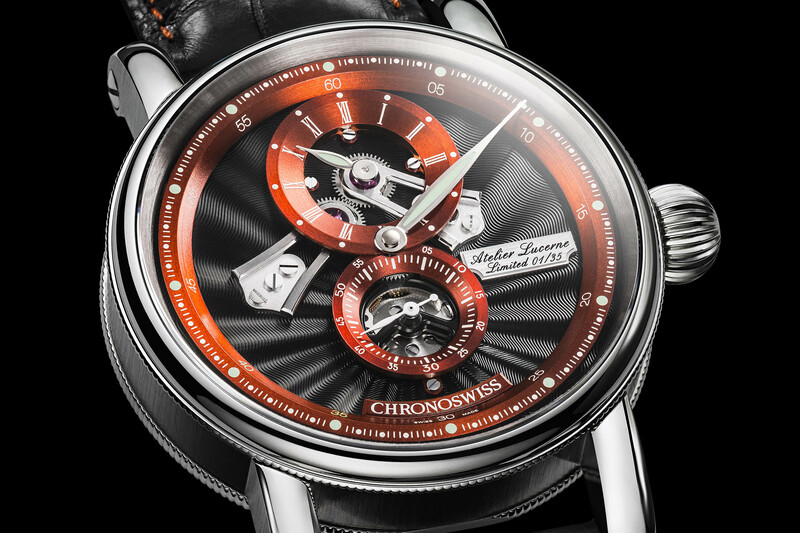 Chronoswiss was founded by Gerd R. Lange in München, Germany, in 1983. Four years later, the company produced its first regulator piece and became well known for the style. 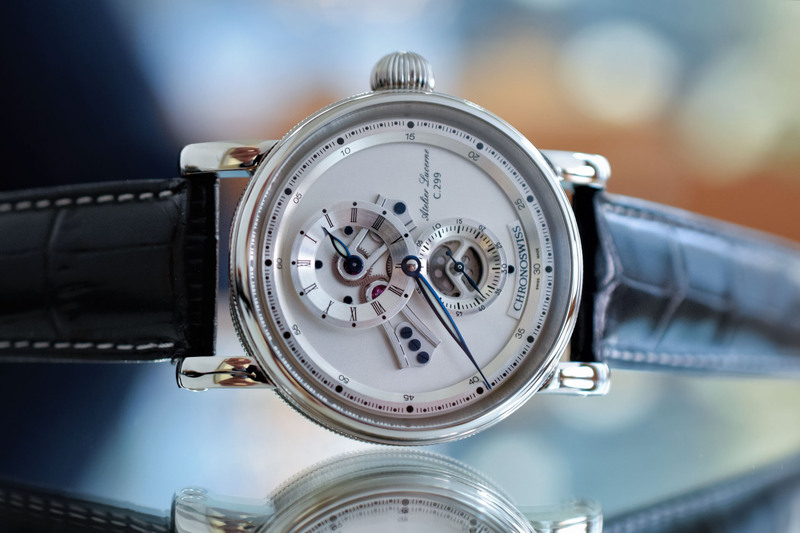 In fact, it was the first company to manufacture a wristwatch as a regulator – the Régulateur. 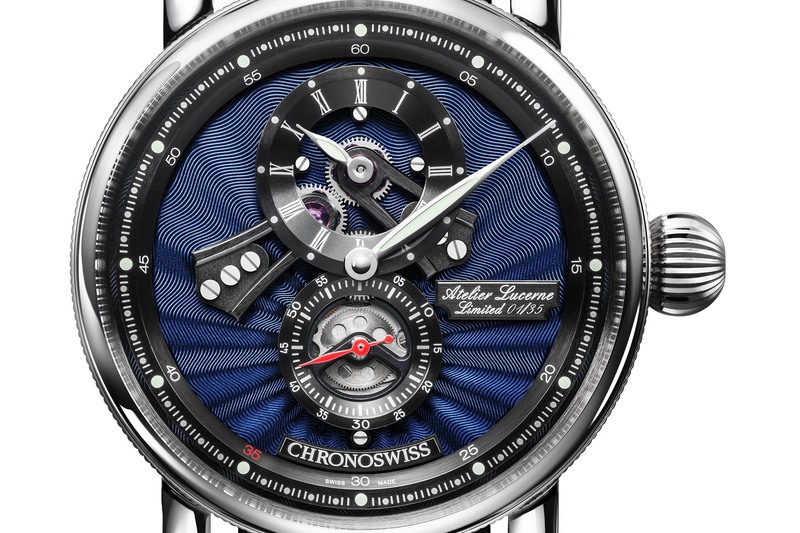 Chronoswiss was relocated to Lucerne, Switzerland in 2012 following an acquisition by Oliver Ebstein, but the design language and soul of the company never changed. 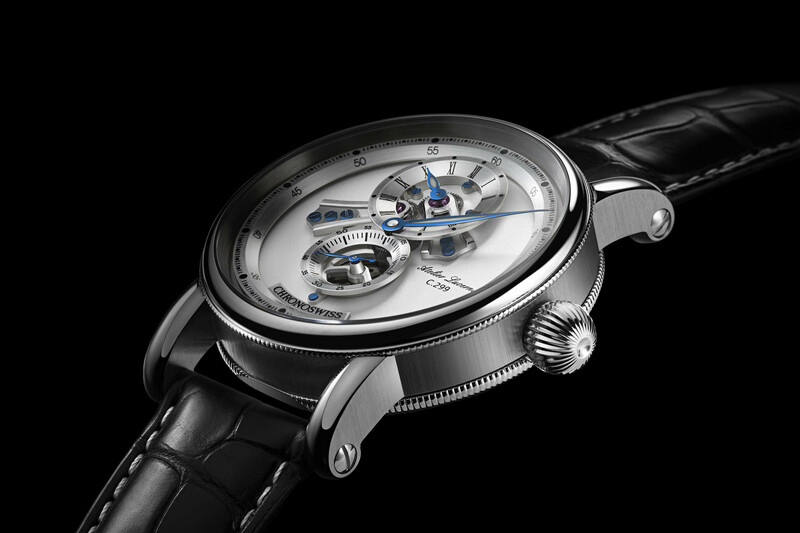 While Chronoswiss produces more traditional watches with centralized hands (Sirius and Time Master lines), it’s the regulator models that truly differentiate the company and no one makes them better. The headquarters today has a “House of Chronoswiss” that allows visitors to see advanced techniques like engine-turned dials and high fire enamelling. The Flying Regulator Open Gear series, and even edgier designs like the Flying Grand Regulator Skeleton Limited Edition, are keeping the regulator design fresh and futuristic as the style evolves. The dials on the new Flying Regulator Open Gear Anniversary Editions are engine-turned by hand to create a complex guilloché pattern, while they also serve as module boards for exposed train wheel bridges. 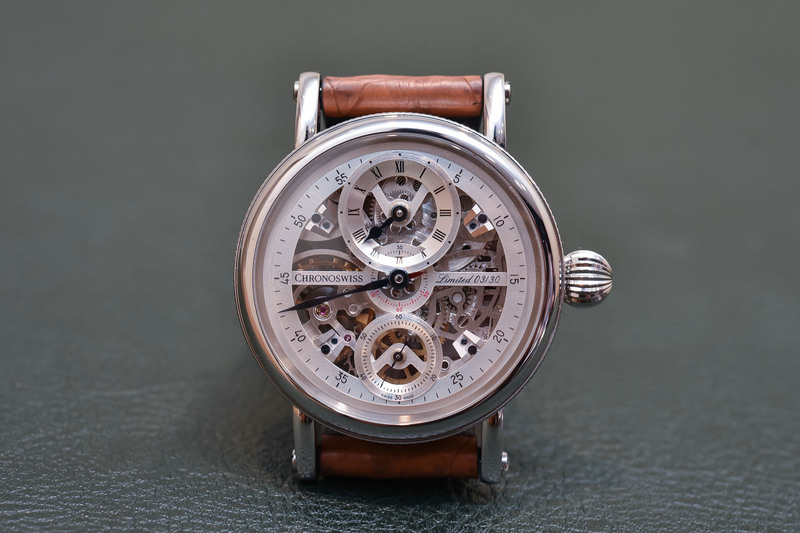 The multi-dimensional finished dials with raised sub-dials are partially skeletonized and much more elaborate than a classic piece like the Regulator Classic Date. A regulator setup has each hand separated in its own register, which helped watchmakers centuries ago set the time on new watches from master regulator clocks (the minute hand was usually prominent). In the case of the new Anniversary Editions, the minute hand is large and centralized, while the hour hand is in a raised sub-dial at 12 o’clock with the seconds hand in a raised sub-dial at 6 o’clock. The train wheel bridges have angled and polished edges, displaying nice attention to detail, while an exposed transfer gear connects to both the hour and minute gears (these are usually hidden under the dial). Larger than normal jewels are also exposed and add a nice punch to the aesthetic. The seconds sub-dial is fully skeletonized to reveal the mechanical action underneath. 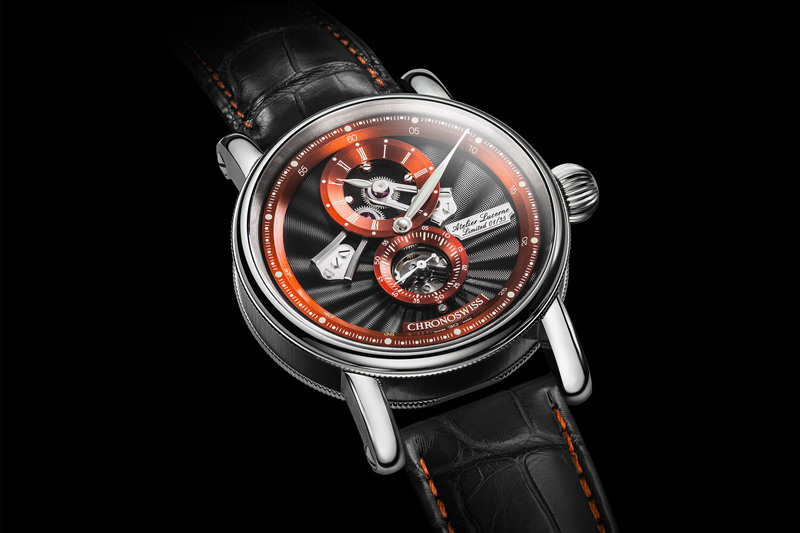 The outer minute track and both sub-dials are either metallic orange or blue (depending on model), and the rhodium-plated, leaf-shaped hands and indices are filled with Super-LumiNova. The seconds hand is red on the blue version and the number 35 is a different colour on the outer minute tracks to highlight the anniversary – yellow on the metallic orange model and red on the blue model. The cases are 316L stainless steel and 41mm in diameter (13.85mm in height) and are made from 16 pieces. Chronoswiss is known for its oversized onion crowns and these models are no exception, along with knurled patterns on the top and bottom edges of the case. Large, curved lugs extend from the case and hold the strap with exposed, polished screws. A sapphire crystal with an anti-reflective coating covers the dial, while a second sapphire crystal provides for an exhibition caseback. The front bezel is curved and adds a bit to the overall depth effect, and the case is water-resistant to 100 metres. The heart of the new models is the Chronoswiss calibre C. 299 automatic, based on an ETA 2895, but heavily modified with an in-house regulator module. It has 31 jewels (some oversized), beats at 28,800vph (4Hz) with a 42-hour power reserve. 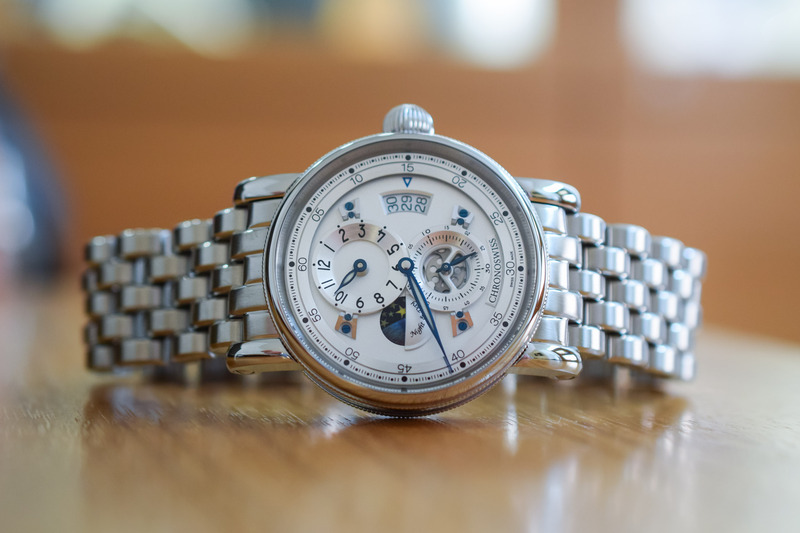 It has an Incabloc shock protection system and is skeletonized, and decorated with Côtes de Genève, polished pallet lever, escape wheel and screws. There’s also either a blue or orange rotor depending on the model. The calibre C. 299 is used in other Flying Regulator models as well, although not all (depending on design and/or complications). The strap is Louisiana alligator leather with a folding clasp and comes in black with orange stitching on the metallic orange model, and black with blue stitching on the blue model. They forgo the traditional spring bars and are held onto the lugs with exposed screws using a patented Autobloc system. The two new Flying Regulator Open Gear Anniversary Editions are limited to 35 pieces each and feature a plate on the dial with a hand-painted limited edition number. Both models are available now at a price of CHF 7,880 (EUR 7,760 or USD 8,110) and can be ordered online at the Chronoswiss site. More details on www.chronoswiss.com.